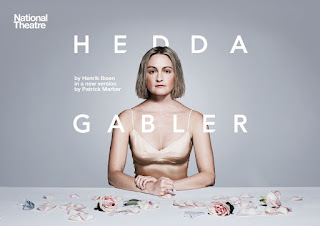 Following successful runs in Edinburgh and Aberdeen, The National Theatre will bring its new adaptation of take Hedda Gabler to Theatre Royal, Glasgow in less than two weeks. With Lizzy Watts in the title role, this vital new version of Ibsen’s masterpiece by Olivier and Tony Award®-winning playwright Patrick Marber (Closer, Three Days in the Country) is directed by Ivo van Hove, one of the world’s most exciting directors. Olivier and Tony Award®-winning van Hove made his National Theatre debut with Hedda Gabler, which opened in December 2016. His acclaimed production of A View from the Bridge recently played to sold out houses in London and on Broadway and Obsession starring Jude Law is currently playing at The Barbican, London. Van Hove’s next production for the NT will be the world premiere of Network based on the Oscar-winning film and featuring the UK stage debut of Bryan Cranston.